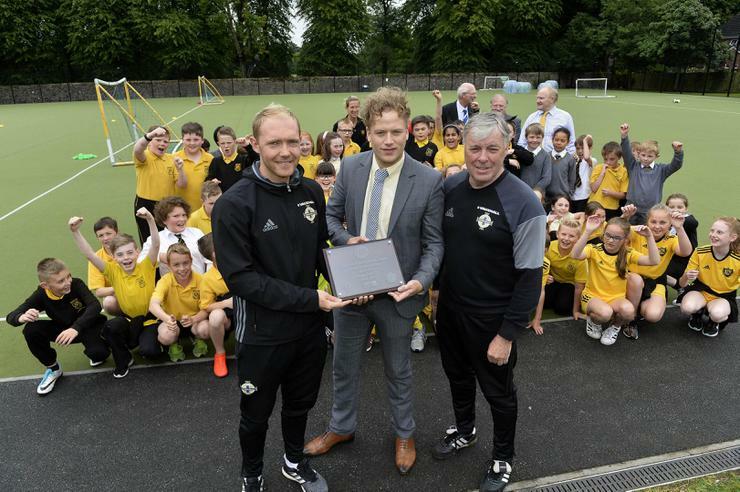 King’s Park Primary & Nursery School Lurgan is the first primary school in Northern Ireland to be awarded the highly coveted Gold Quality Mark by the Irish Football Association. King’s Park has credited the new Irish FA Foundation as an excellent backbone in educating and developing the love of football in today’s youth. The Irish FA Schools Manager Jonathan Michael was delighted to announce Kings Park as the first gold accredited school “Kings Park have had great success this year in our national competitions, this is due to a high calibre of players and the guidance and structures the school have in place. 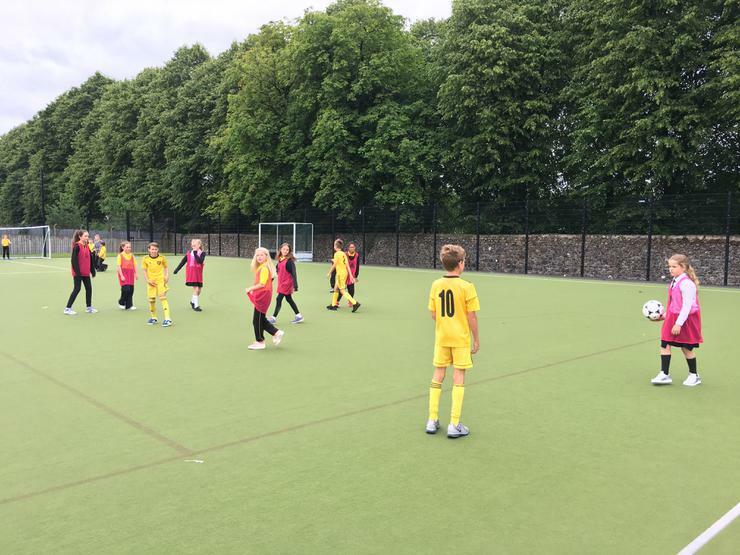 Kings Park play in a variety of competitions throughout the year and always give the pupils the opportunity to participate in competitions. 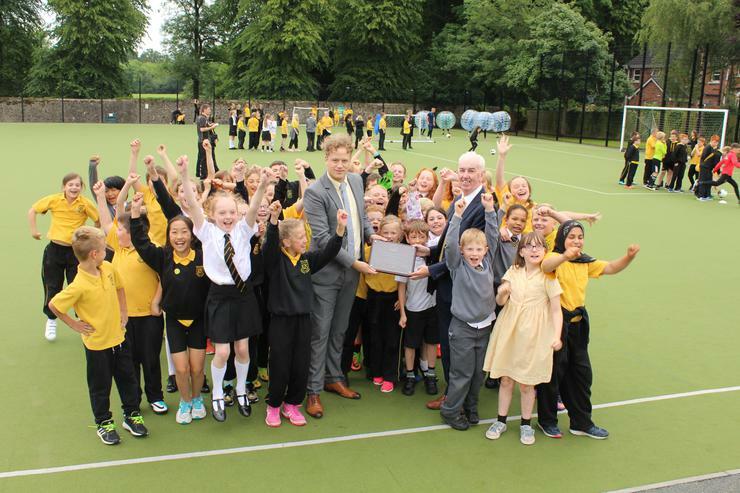 To be the first primary school to achieve the gold accreditation shows the school’s focus on football and the commitment of the staff to go above and beyond to provide after-school activities. Kings Park’s structures and processes will be used as best practice to assist other schools in gaining a quality mark accreditation”. 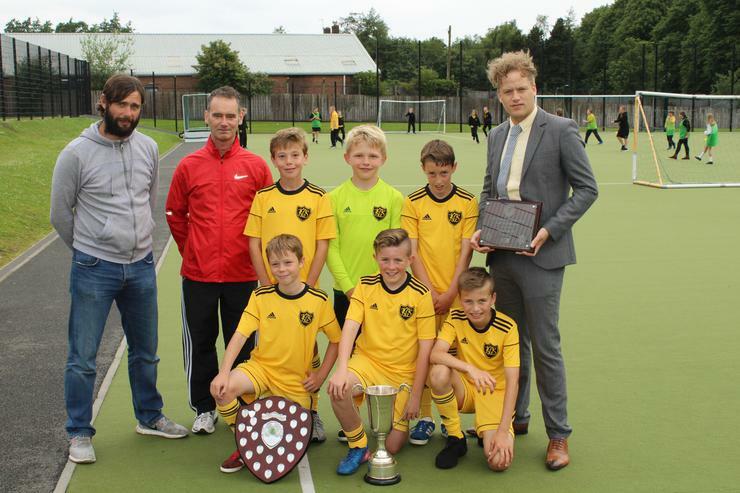 The structures in place observed by the IFA have paid dividends this year with the school winning all the National Football Finals (NISFA 5 a-side & NISFA Large School 7 a-side). The school are also NI Cross-Country Boys champions for the third year running and for the first time NI Cross-Country Girls champions. 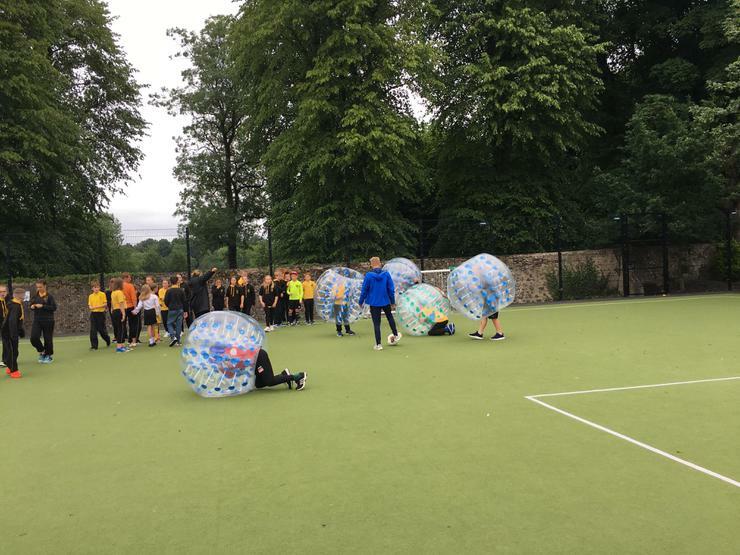 “The development of sport and in particular of football for both boys and girls has been very much part of our school’s Development Plan over recent years. King’s Park has a long history of producing footballers who have gone on to play at senior level in the Irish League and beyond” said Ashton Shields head of football at Kings Park. Over recent years we have developed a number of partnerships through which we have encouraged sporting excellence at all levels in our school. 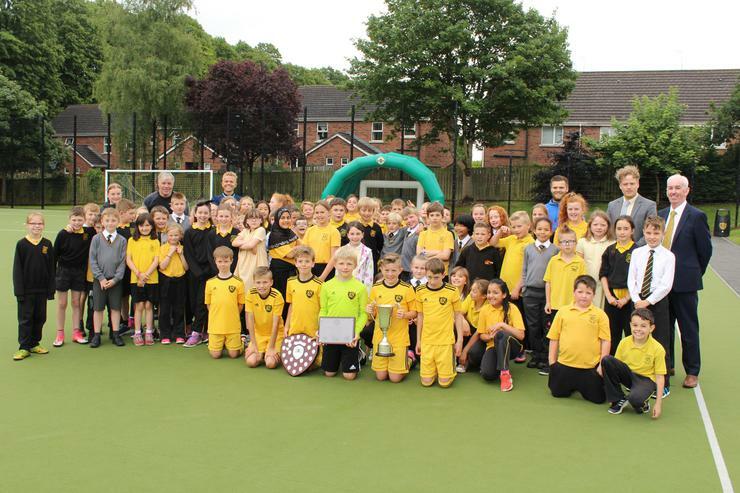 The catalyst for much of our recent success was the construction in 2012 of a full size Multi-Use Games Area (MUGA) within our school grounds. 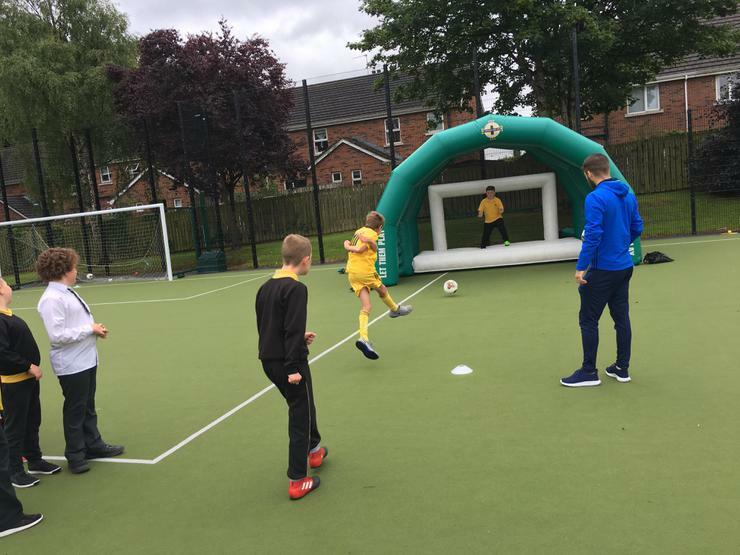 This surface has proved to be a major asset in developing all pupil participation, enjoyment of active learning and in coaching the finer skills over a wide range of sports, football being a major beneficiary. As a school we have a number of teachers who have IFA coaching qualifications and as a staff we are also very aware that many of the skills taught and learned through our football coaching are transferable to other sports such as rugby, hockey, cricket, tennis, table tennis to name a few. At grass roots level boys and girls in our Primary 1 to 4 classes enjoy developing their Fundamental Movement Skills with the assistance of IFA coach Nadine Murphy. Since the year 2000 we have encouraged all of our children to take part in our ‘after school clubs’ programme which is offered free of charge to all Primary 5 to 7 pupils and delivered by all of the teachers in the school. 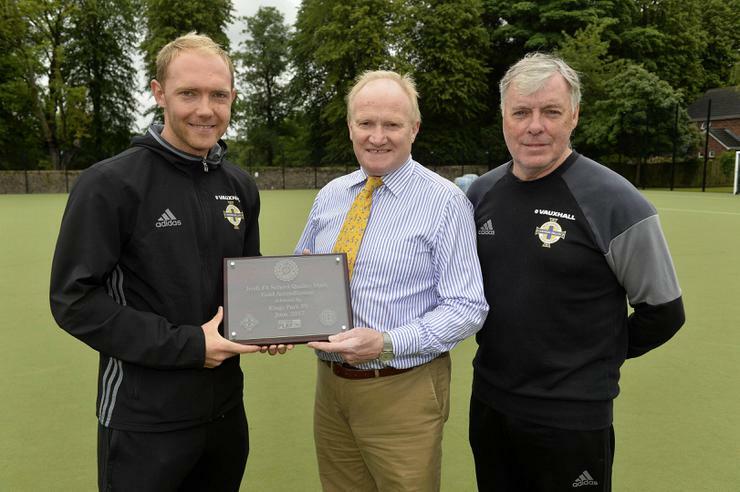 The IFA coaching and development personnel have been working in the school for a number of years and their input has been greatly valued by staff and children alike. Tommy Jackson a distinguished former N. Ireland international footballer has worked with our Primary 4 boys and girls for over ten years now and his contribution with an emphasis on fun together with skills development is greatly appreciated. Our local Irish League side Glenavon has also been extremely encouraging and has facilitated us with coaches ranging from Level One to UEFA A and Pro level coaches. Glenavon’s recent success on the field has also been shared with our children and parents and we have benefited from their generosity and inclusive approach to community involvement. The local youth club Lurgan Town has also played its part in developing the skills level of the youth across Lurgan and in turn the pupils attending King’s Park. On a whole school level we have also involved all of our children again this year in the ‘Daily Mile’ run/walk and this we feel has greatly added to all of the children’s health and well-being. One of the most recent additions to our football programme has been the introduction of Futsal, this has proved to be to be a big success with both the boys and girls entering teams into this yearsIrish FA competitions. A number of our Primary 7 boys have been asked to join the new IFA initiative, Club NI and we will be looking out to see if this current crop of footballers from Lurgan can in the years ahead make a name for themselves and our school just as some illustrious names have done in times past.